Take photos of the fall leaves in some of the most scenic places in the Ozarks. Follow the Arkansas Art Trail, a self guided (and free) tour of many cultural sites in Northwest Arkansas. See eagles soar over Beaver Lake. Rent a boat from Starkey Marina for a couple of hours or a full day. Fall is the best time to see bald eagle at the lake and views of the bluffs from the water are breathtaking. Ask the Marina for the best areas to see eagle nesting sites. Bring your friends and do a bar crawl. Enjoy live music, see a burlesque show, experience eclectic local talent, and toast to your favorite things in one or several of Eureka Springs pubs. Enjoy views of the fall color from the canopy. Zip on one of the longest, highest ziplines in the country. at the War Eagle Mill Antique and Craft Show and see the Eureka Springs Calendar of Events for upcoming special events and festivals. Have a roaring good time at Howl-O-Ween. Spend the evening with the big cats at Turpentine Creek Wildlife Refuge. Tour America’s Most Haunted Hotel! Gain exclusive access to some of the most famous ghost sighting locations in America. 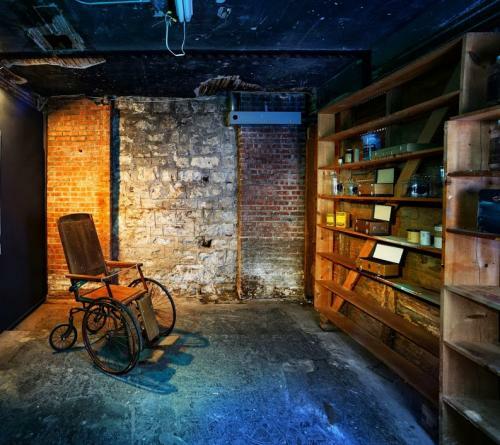 Spend the night in America’s Most Haunted Hotel on Halloween. famous hotel on Halloween night. See an intriguing show and watch a woman get sawed in half. See an amazing show up close in one of Eureka Springs most unique venues. Walk the Eureka Springs Cemetery. 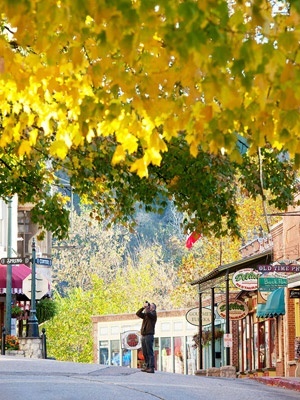 and hear Voices from the Silent City on this guided tour of Eureka Springs history. This entry was posted on October 4, 2013 by estcblog in Attractions, Fun Downtown, Road trips, Things to Do and tagged Arkansas, beaver lake, Crystal Ballroom, Eureka Springs, Eureka Springs Arkansas, Fayetteville–Springdale–Rogers Metropolitan Area, halloween, Ozark.